A few weeks ago we shared Laney’s trial smile experience with you. 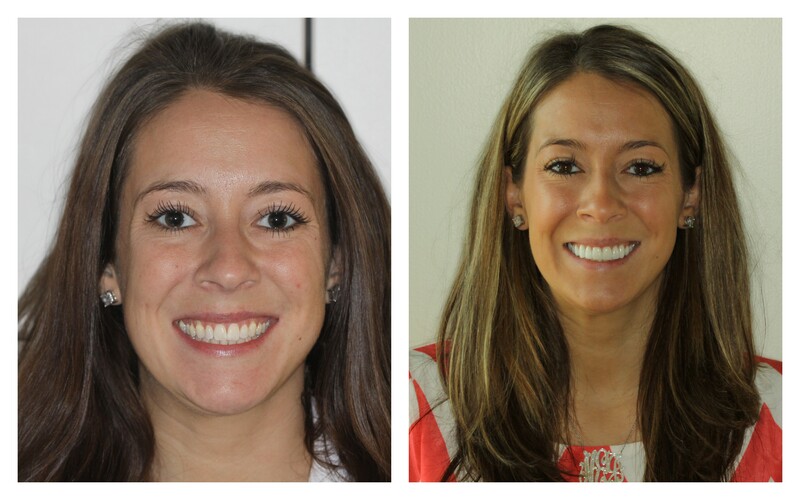 Laney had the opportunity to wear/trial her smile makeover prior to deciding whether or not to proceed in transforming her smile with porcelain veneers. Her trial smile was a hit, so she went ahead and made it forever. Here’s how! Transitioning from a trial smile to the real deal is quite simple. 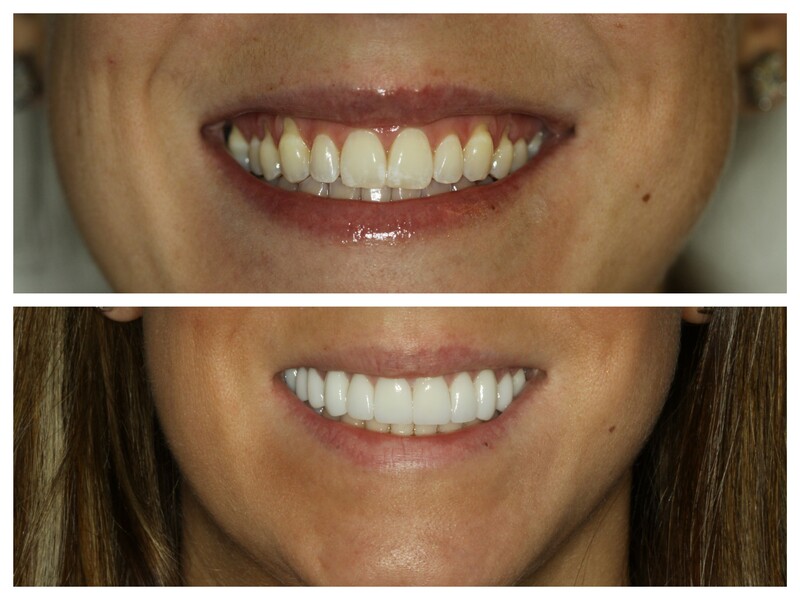 We removed her trial veneers and minimally prepared her teeth. Once the preparations were exact, we took an impression and sent it, along with a series of photos, to our cosmetic dental lab. Our lab created her porcelain veneers from the impression and photos, paying careful attention to every imaginable detail. Laney’s age, skin tone, face shape, width of smile and cosmetic preferences were all taken into consideration during this process. These details are what separates cosmetic dentists and lab technicians from general dentists and labs. Notice the change in the appearance of Laney’s lower facial structure on her before and after shots. Her final restorations better match her square shaped jaw and enhance her entire facial aesthetic. Incredible! Laney had a particular look in mind and worked closely with our lab to achieve it. She longed for, well, longer teeth. She also wanted them to be slightly wider and all edges to be even. In short, she wanted a broader smile. You may remember a previous blog post titled, “who’s your smile crush?” Laney’s "smile crush" was Britney Spears, so she shared a photo (below) with our lab to give them a good sense of what exactly she was looking for. They then crafted a “Britney smile” that would looking flattering on Laney. It’s important to know your options and limits when it comes to cosmetic dentistry. We pride ourselves in listening to our clients' (and team members') smile makeover goals and work hard to produce exceptional results. If you or someone you know is interested in a smile makeover, contact Chicago cosmetic dentist, Dr. Jessica Emery and the team at Sugar Fix Dental loft to schedule a consultation.